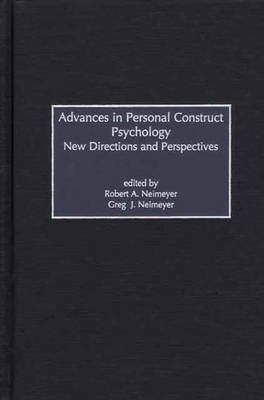 This volume offers an authoritative review of leading scholarship in personal construct theory and related approaches, giving fresh analyses of problems such as the construction of selfhood, processes of meaning-making in substance abuse and attention deficit disorder, and the dynamics of insight. Methodologically oriented readers will find critical reappraisals of repertory grid measures, as well as new analytic strategies for textual analysis. Readers from a range of disciplines including clinical and counseling practice, organizational consultation, education, research design and methodology and the social sciences in general will find in this volume a sophisticated exploration of a host of constructionist and social constructionist concerns. Those include debates between realism and relativism, issues in dialectical and relational self-development, and psychotherapeutic strategies. The social construction of mental disorders and therapeutic interventions is also addressed.